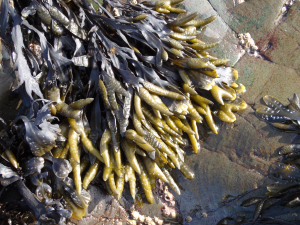 Observation - Seaweed on upper shore - UK and Ireland. Description: Seaweed on upper shore . Very abundant.At very top of shore black and dried out . Seaweed on upper shore . Very abundant.At very top of shore black and dried out .